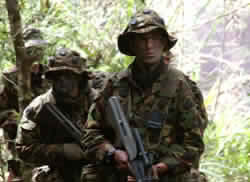 Army Survival Manual is the finest single source for self-reliance for all extreme circumstances. This book provides: All-climates: arctic, tropics, temperate forest, savannah or desert. All-terrain survival tactics. The Will to Survive. Identify poisonous snakes, as well as edible and non-edible plants. Survival Medicine. Wilderness medicine. Techniques on first aid. 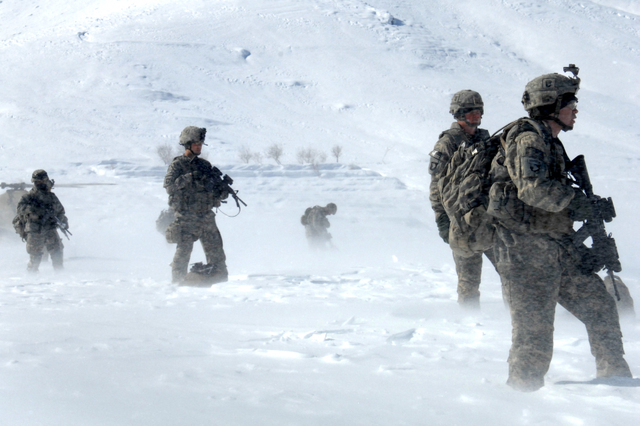 Survival in the hottest or coldest of climates. Survival Planning. Make polluted water potable. How to find water. Ways to trap and collection techniques of water. Covers navigation and compass use. Find direction using the sun and stars. Weapons and Tools. Recognizing signs of land when lost at sea. Building life-saving shelters. Traps and snares. How to prepare wild game to be cooked also preserving food. All types of fire making. Water Crossings. Find direction using the sun and stars. Physical and mental fitness. Disaster preparedness. The United States Department of Defense ( DOD or DoD ) is the federal department charged with coordination and supervising all agencies and functions of the government relating directly to national security and the military. The DOD is headquartered at the Pentagon in Arlington, Virginia. 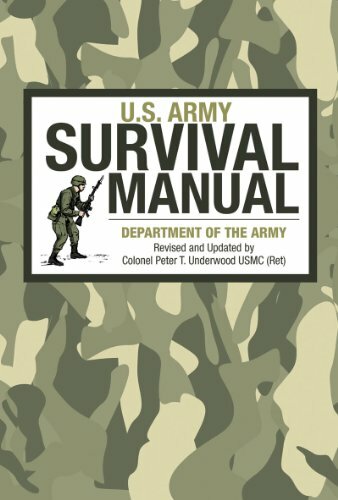 The Military Departments at the Pentagon publishes some of the very best manuals, handbooks and guidebooks on a wide range of topics; teaching skills, tactics and techniques. The content of these manuals are unmatched in depth, consider that some this knowledge is drawn from hundreds of years, thousands of man hours, and first hand operational experience. Also material in most of these manuals has been shared with other Military Branches providing even greater depth of subject matter. Military Manuals from the Department of Defense are unedited by outside individuals and or companies, this ensures the information is complete, current, and accurate as the military intended. Listed below you will see some of the major departments or components of the Department of Defense. Here you will find just a few book titles of the many sponsored works from each department. Department of the Air Force: U.S. Air Force Aircrew Survival; Air Force Handbook; USAF Military Working Dog Program; USAF Weapons Handling Manual; Airport Signs and Markings; Unexploded Ordnance Booby-traps UXO Recognition and Reporting Chart. Department of the Army: US Army Survival Manual FM 21-76; Survival Skills U.S. Army / Special Operations, Tactics, Techniques, and Skills Guide; Ranger Handbook; Special Forces Medical Handbook; Military Mountaineering; Boobytraps Army Instruction Manual; Explosives and Demolitions; Guerrilla Warfare; Army Hand to Hand Combat; U.S. Army Special Forces Handbook; Survival Evasion and Recovery; Military First Aid. Department of the Navy: Seabee Combat Handbook; Manual of Naval Preventive Medicine; USN Diving Manual; U.S. Navy Seal Patrol Leaders Handbook; Performance Maintenance During Continuous Flight Operations. United States Marine Corps: USMC 5.56MM, M16A2 Technical Manual; U.S. Marine Corp M40A1 Sniper Rifle 7.62MM; U.S. Marine Guidebook; Close Combat Hand to Hand Fighting Marine Corps; Booby Traps Close Combat Urban; Counterinsurgency; USMC Land Navigation; Scouting and Patrolling; Combat Water Survival; Map Reading; Sniper Counter Sniper.